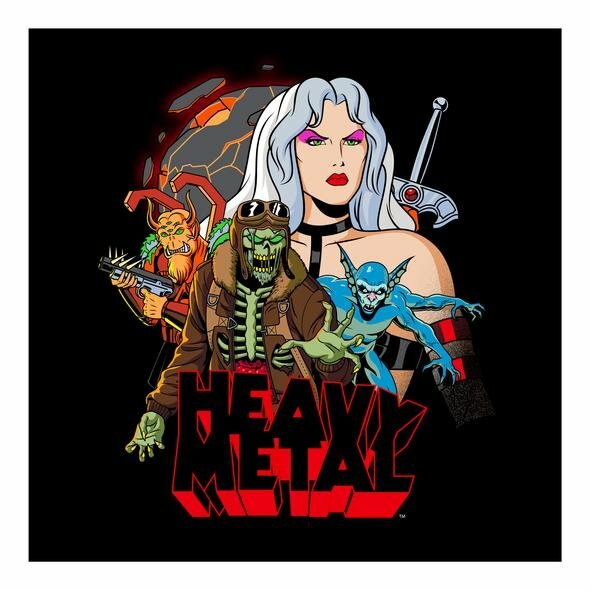 In 1981, director Gerald Potterton and producers Ivan Reitman and Leonard Mogel brought the legendary comic magazine, Heavy Metal, to the big screen as adult animated sci-fi anthology. This summer, Incendium is revisiting Heavy Metal with a new line of action figures, collectibles, and clothing inspired by the film. 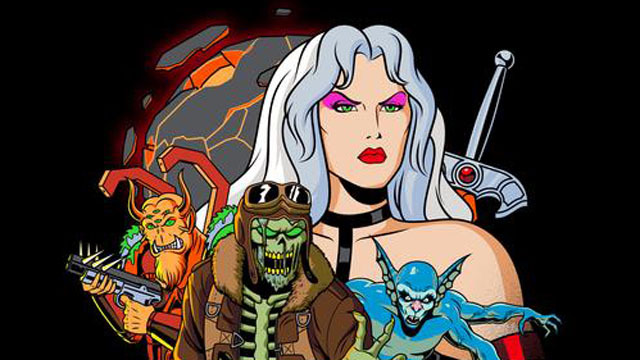 Artist Matt Skiff was commissioned to reimagine “the worlds greatest illustrated magazine in the style of our favorite ’90s cartoons.” Skiff’s print, “Heavy Metal Planet,” is pictured above and the full print can be seen in the gallery below. While additional announcements will be made at San Diego Comic-Con, the first two action figures are making their debut here. The first FigBiz figure is Taarna, the main character of the film’s final story. Taarna is a silent warrior and the last of the Taarakians. She ultimately sacrificed herself to stop the Loc-Nar, an evil entity that linked the various stories. She has also gone on to become the most iconic character within the movie. The second Heavy Metal FigBiz figure is Nelson, one of the zombie Tailgunners in the “B-17” story. In that segment, a World War II pilot’s plane came under attack by the Loc-Nar. Taarna and Nelson are also featured on T-shirts and Lapel Pins. Additionally, Skiff’s “Planet” print is also available as a T-shirt and as a hoodie. You can see the see Incendium’s Heavy Metal collectibles in our gallery below. To preorder them before their release this summer, visit the official site. What do you think about the new Heavy Metal collectibles? Do you want to see more characters from the film as action figures? Let us know in the comment section below!